ROCK-CLIMBING | $20 | ALL AGES | Calling all lady crushers! 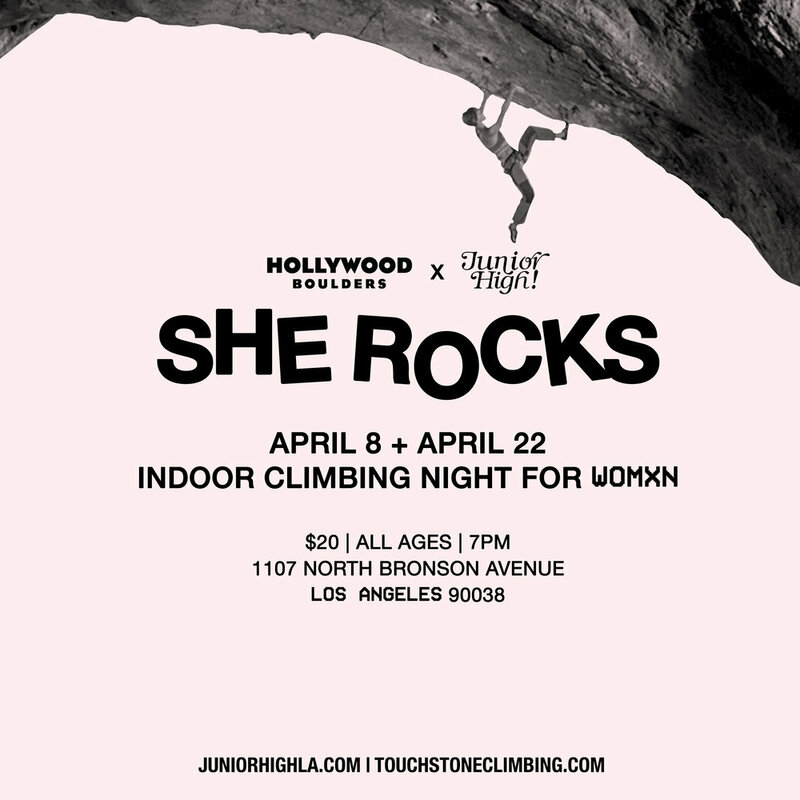 She Rocks is a climbing night for womxn who are interested in gaining confidence, strength, and new friendships. For the Month of April, all Junior High friends and fam can climb for a discounted rate of $20 and get a free pair of rental shoes. Hollywood Boulders is also donating 10% of all proceeds of She Rocks merch sold to Junior High! Come wearing comfortable clothes. No experience necessary.